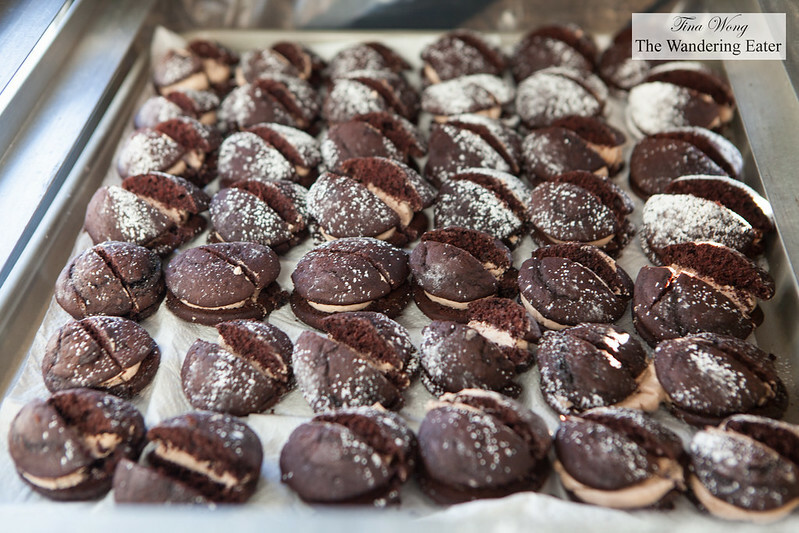 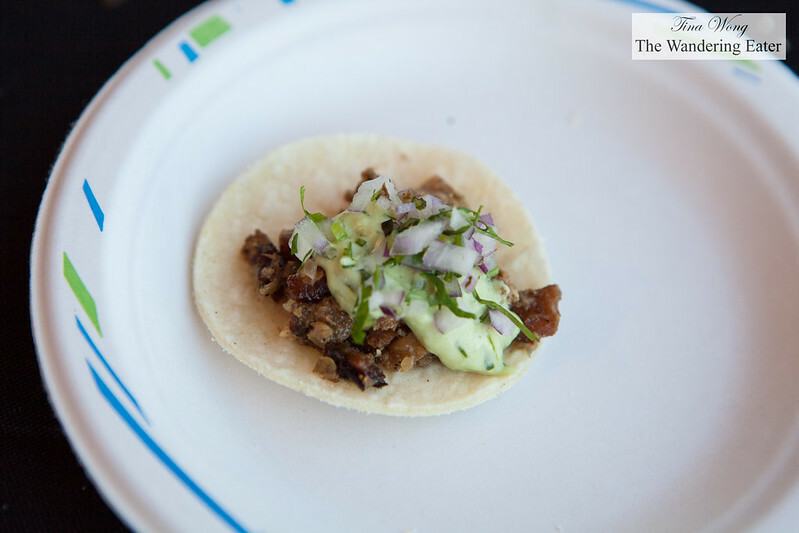 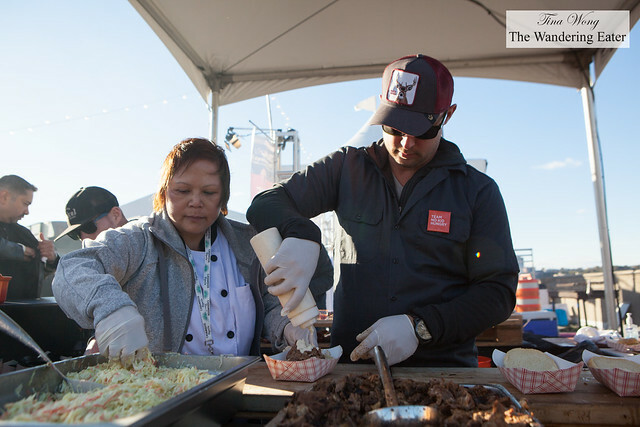 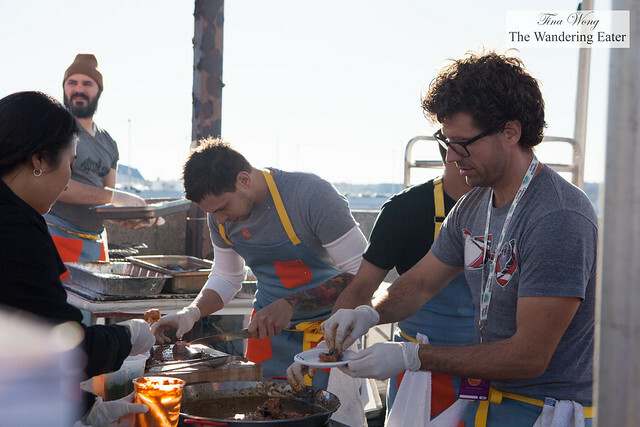 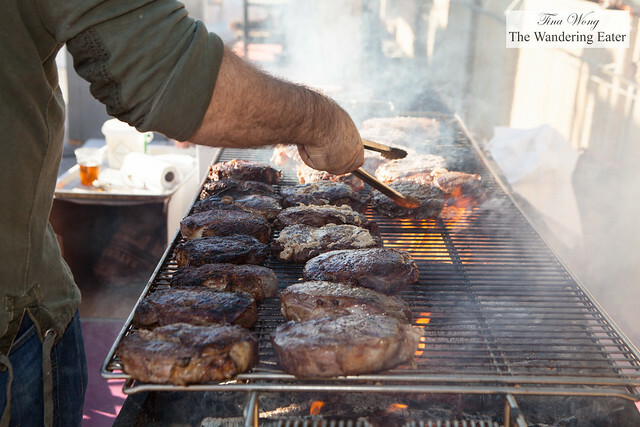 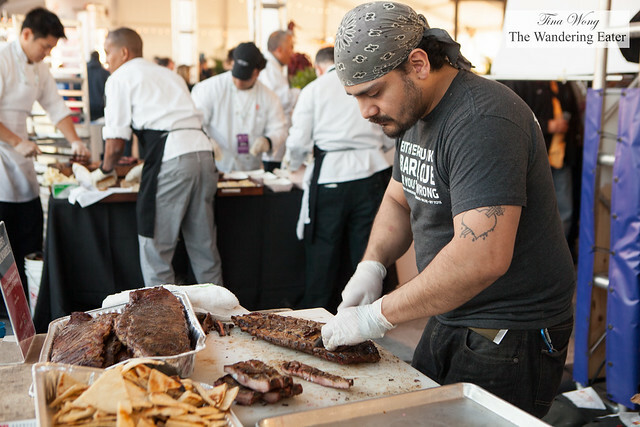 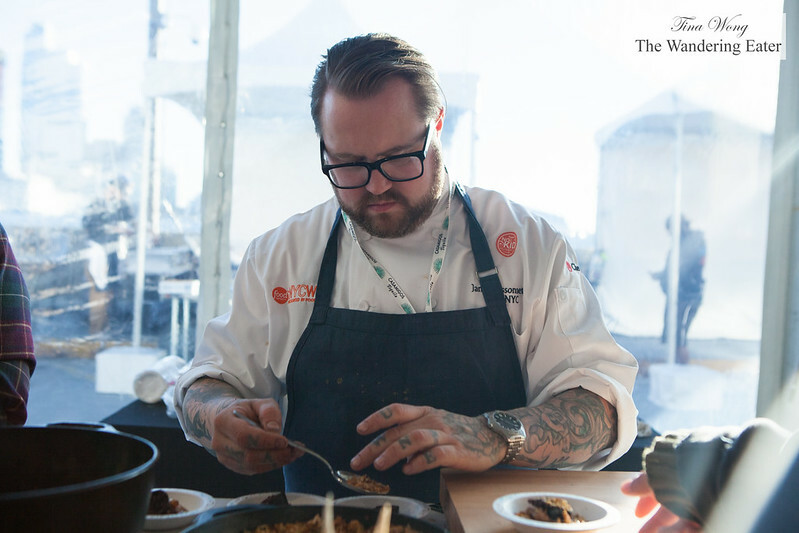 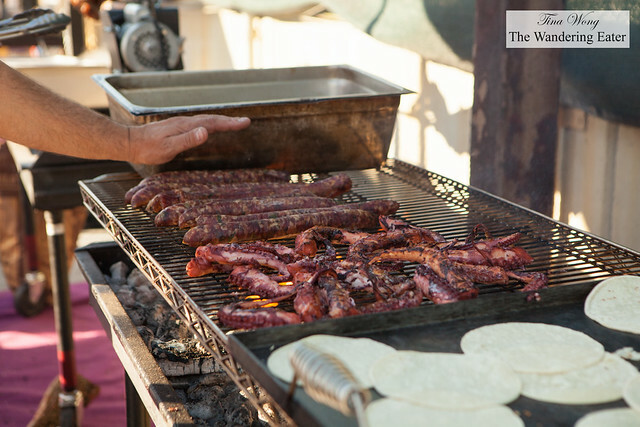 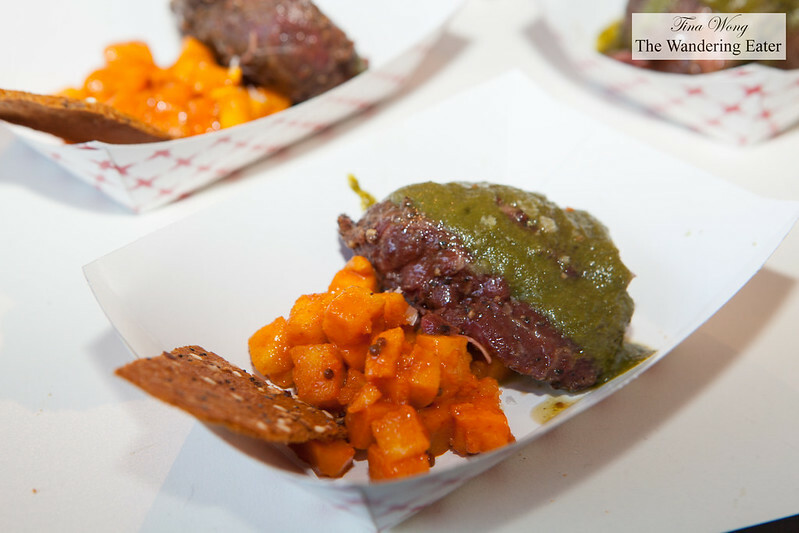 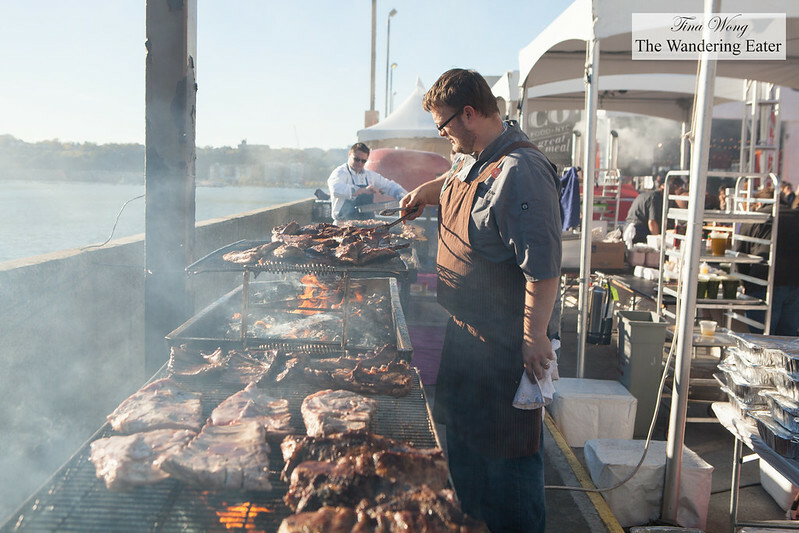 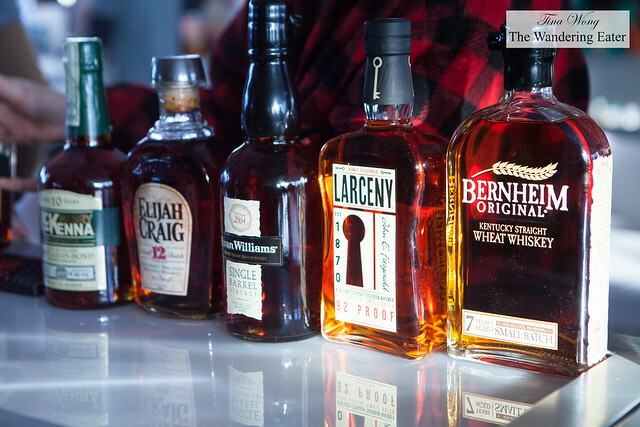 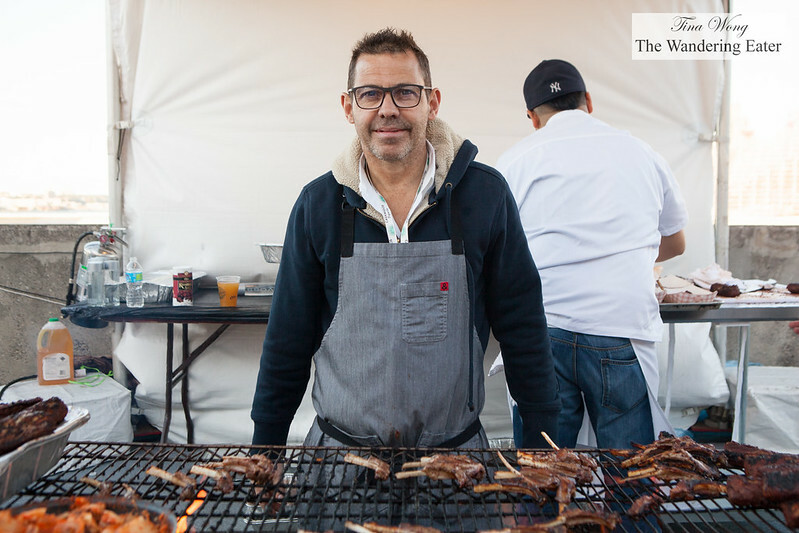 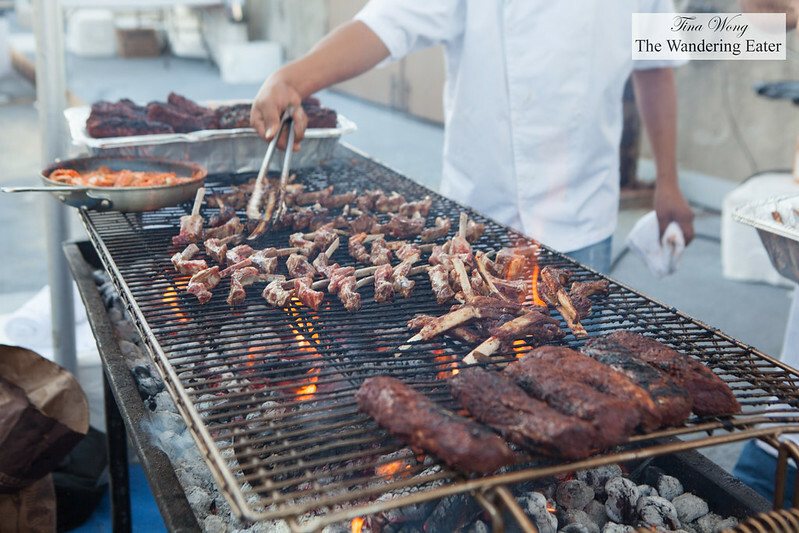 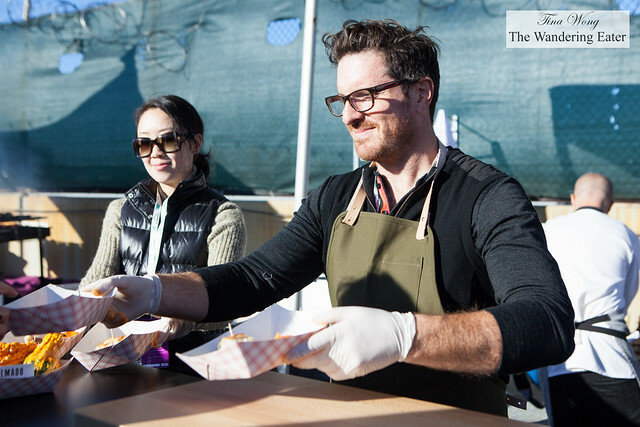 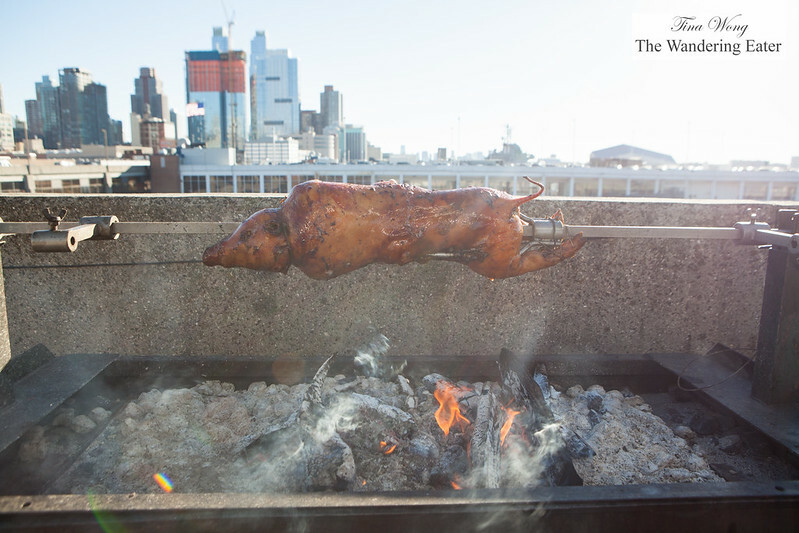 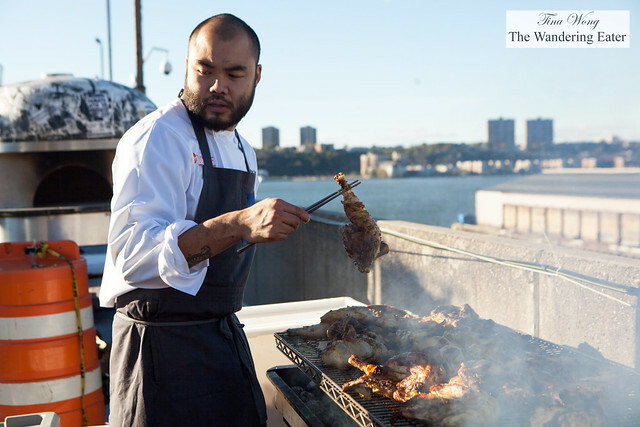 NYC Wine & Food Festival wrapped up its 4-day food extravaganza with Meatopia X. 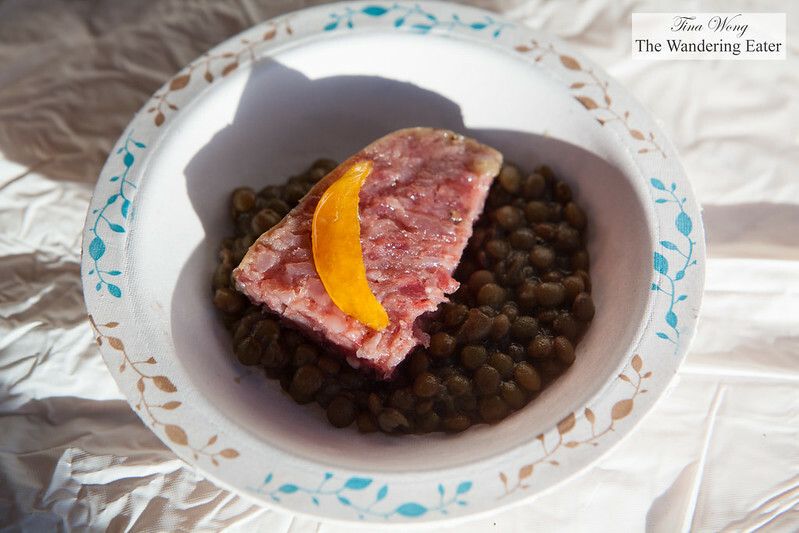 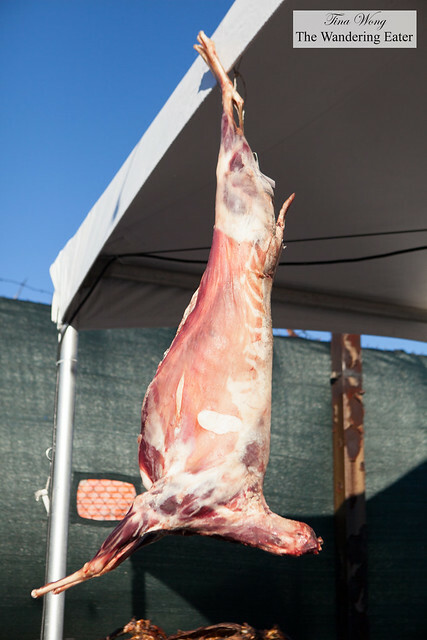 This event is not for the faint of heart, especially if you are a vegetarian. 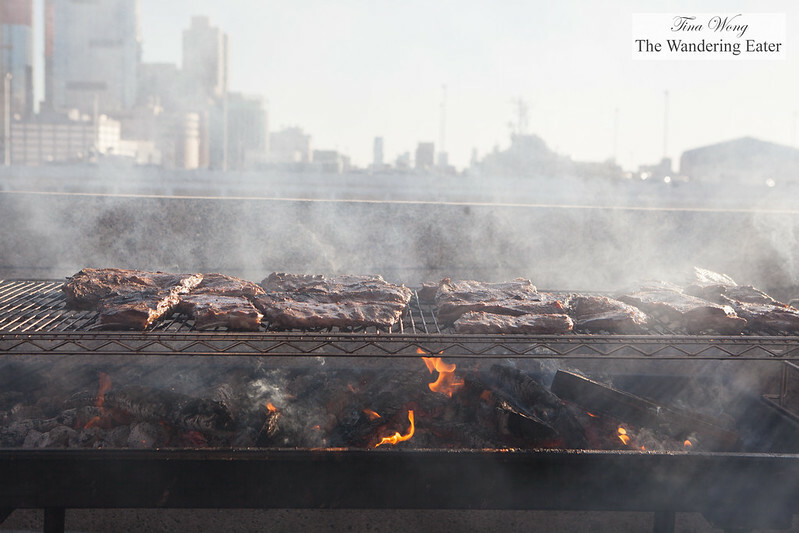 This is a truly a meat festival, celebrating the carnivore in most of us and the animals that we’re consuming expertly grilled, smoked, and/or barbecued by the celebrity chefs locally and one from the United Kingdom (Chef Richard Turner of Hawksmoor). 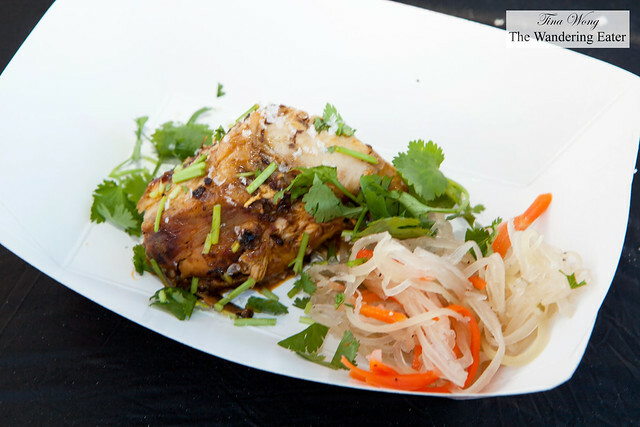 Despite the fact there were at least twenty excellent dishes from the various chefs, I really enjoyed “Inasal” marinated chicken in Tabasco, ginger and lime with a side of Filipino pickled green papaya salad by Chef Paul Qui of qui (Austin, TX). 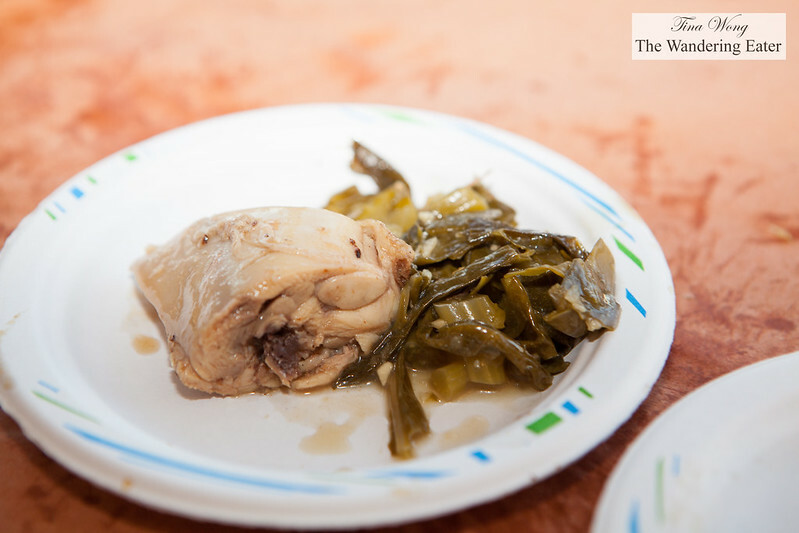 Juicy, zesty, white meat chicken that has a kick from the ginger and Tabasco sauce. The green papaya salad was a refreshing side. 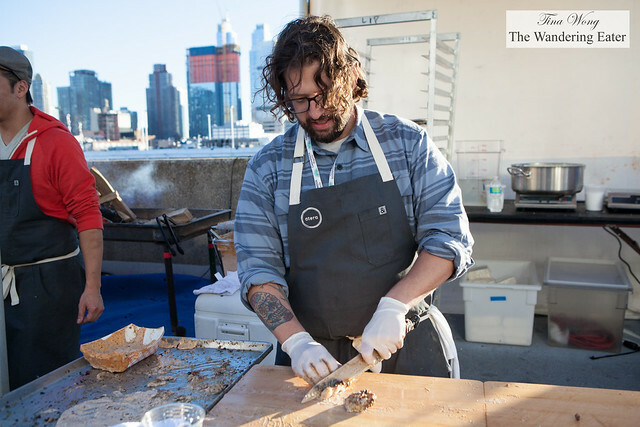 One of my favorite sandwiches was the burnt end pastrami, anchovy mustard, buttermilk fermented pickles and Rocky Mountain pate by Chef Will Horowitz of Ducks Eatery. Bold flavors. A good balance of smoky, well seasoned pastrami with the fermented, gamy flavors were in check but bring so much complexity. We discovered this sandwich later in the event but this really took us by surprise how delicious this was. 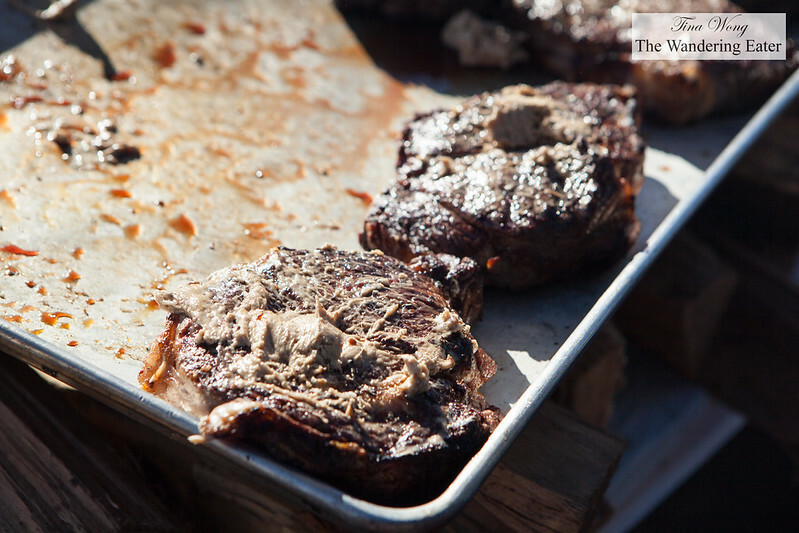 The food bloggers and food consultants, Aki Kamozawa and Alex Talbot of Ideas in Food made a delicious tasting of Creekstone Farms New York strip steak seared on smoked salt slabs on pumpkin puttanesca. 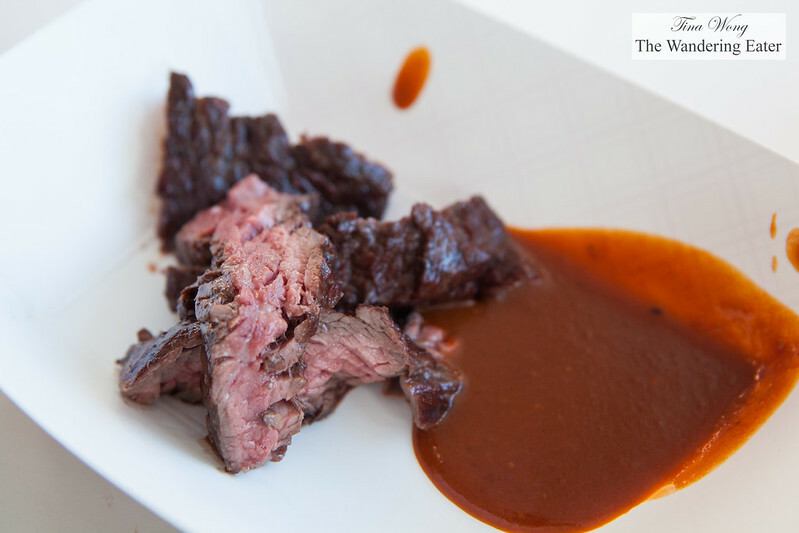 Creamy with a spicy kick and the super tender slices of smoky strip steak. 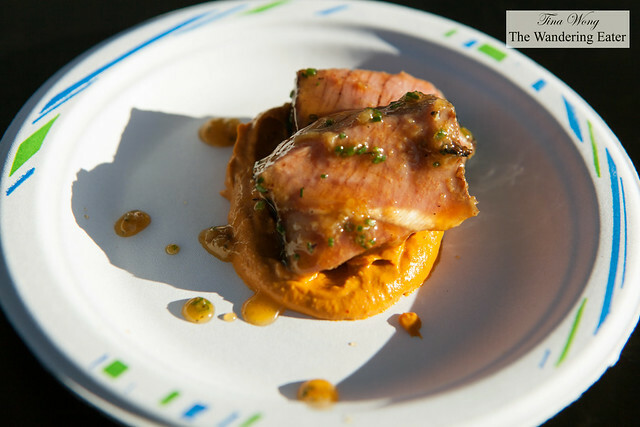 Pulled smoked illy coffee BBQ Randall Lineback Rose veal, Tabasco tiger sauce, soft roll and pickles by Chef Bryan Voltaggio of Range. 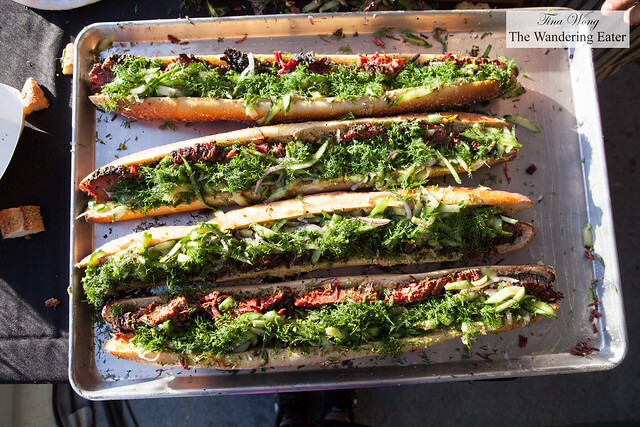 It’s a hefty sandwich that is loaded with coffee-infused pulled veal. 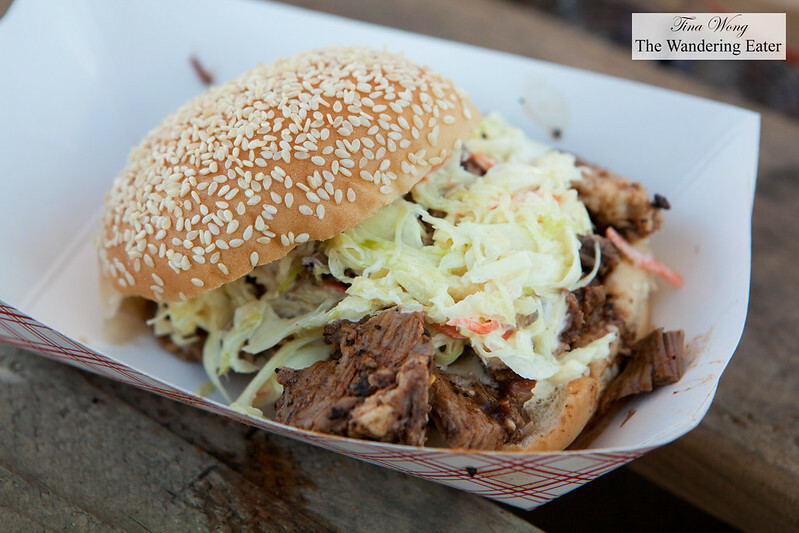 The sauce and pickles added a tangy contrast to all of that tender meat. 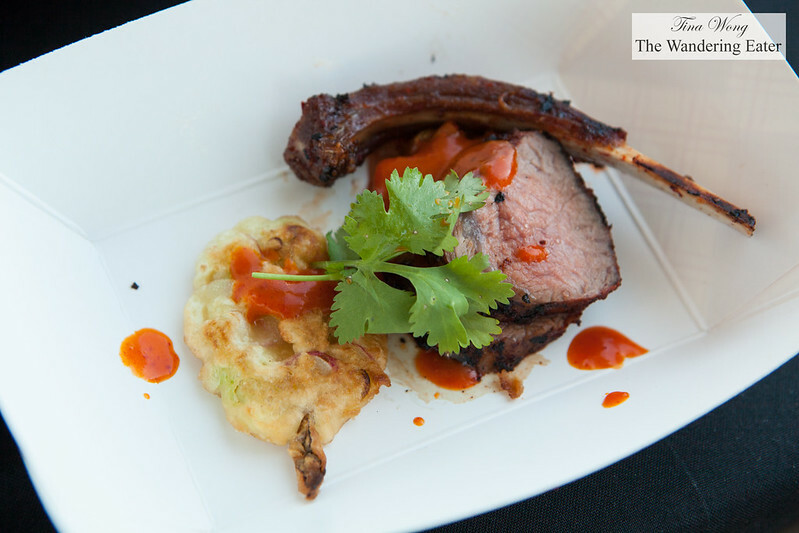 The Korean inspired barbecue dish of sous vide Colorado lamb rack over Red Oak fire, Korean pancake, kimchi by Chef John Tesar of Knife Dallas was tasty. The tender lamb was kissed on the grill to give it smokiness. 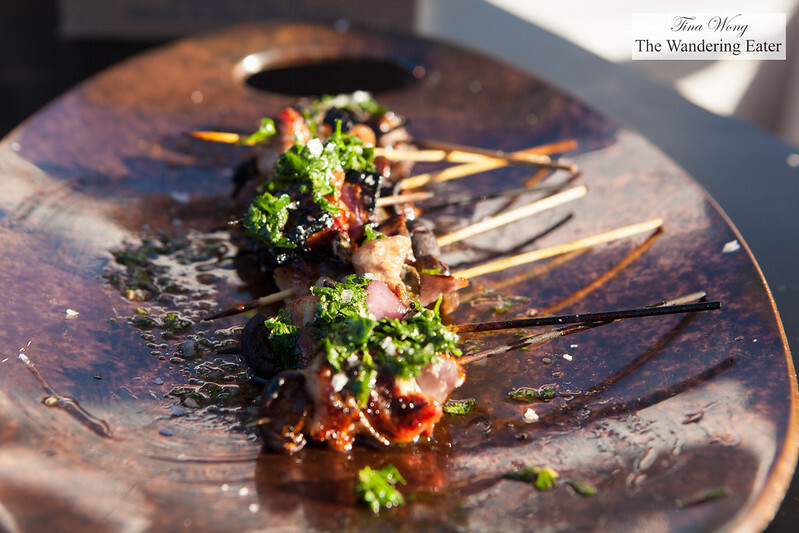 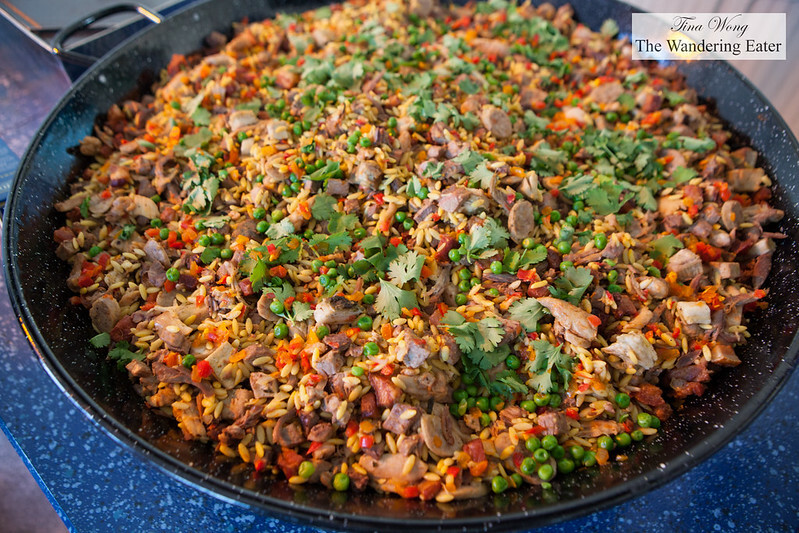 The Korean elements made it stick out from other dishes served in this meat centered festival. There were a few desserts served to complete your intense meat meal, so to speak. 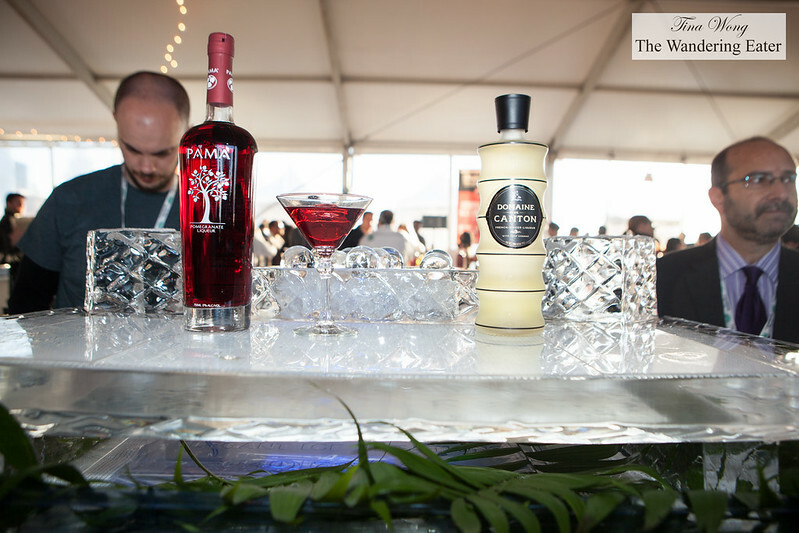 Our favorite was from Oddfellows Ice Cream Co. doling out scoops of prosciutto cherry ice cream. 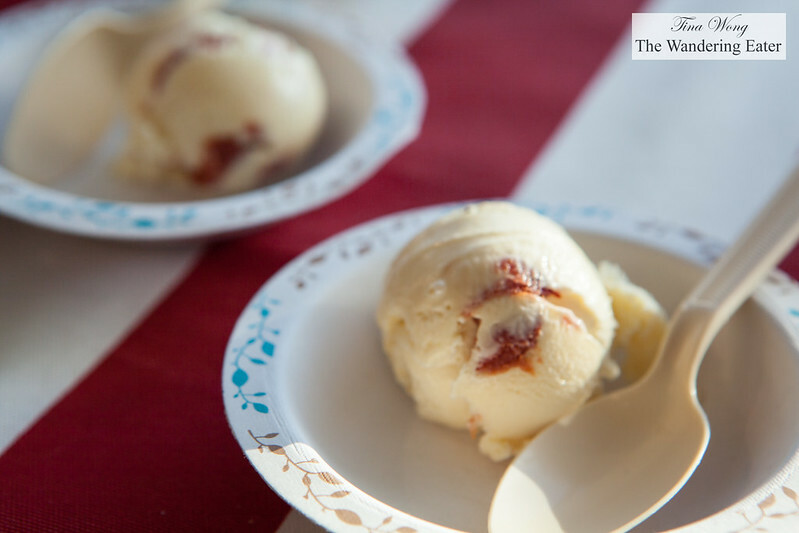 This ice cream was prosciutto forward with a tinge of spices but the sweet-tart cherry ice cream base takes this savory flavor back to dessert territory. 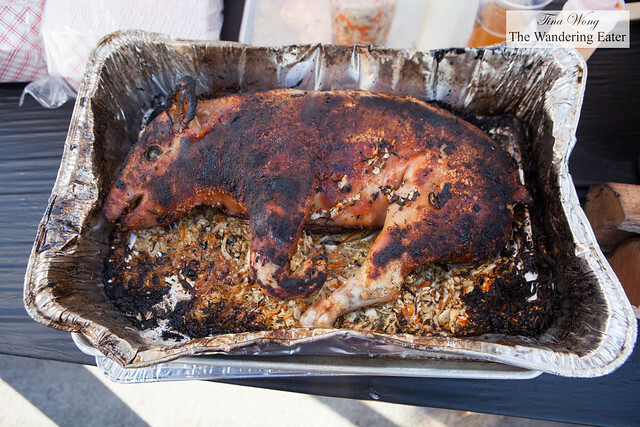 It was stupidly delicious and I don’t mind having a pint of it.